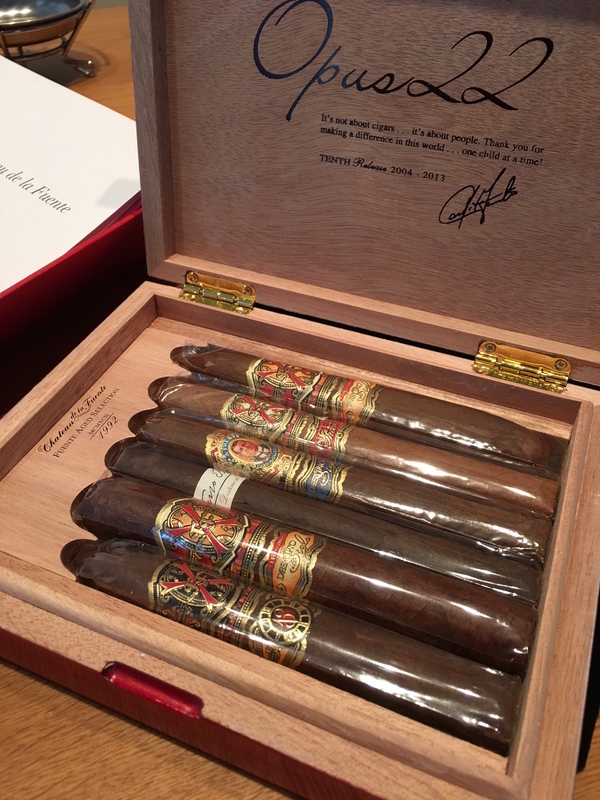 Do you want to win a rare box of OpusX? We'll tell you how! The Fuente Fuente Opus22 Tenth Release contains a magnificent assortment of some of the most well crafted cigars from the Fuente line. The beautiful travel humidor includes one (1) of each of the following: Fuente Fuente Opus X 13 Belicoso; Fuente Fuente Opus X Taurus the Bull; Arturo Fuente 13; Don Arturo Gran AniverXario Toro; Angels Share Toro and Fuente Fuente Opus X El Scorpion Natural. 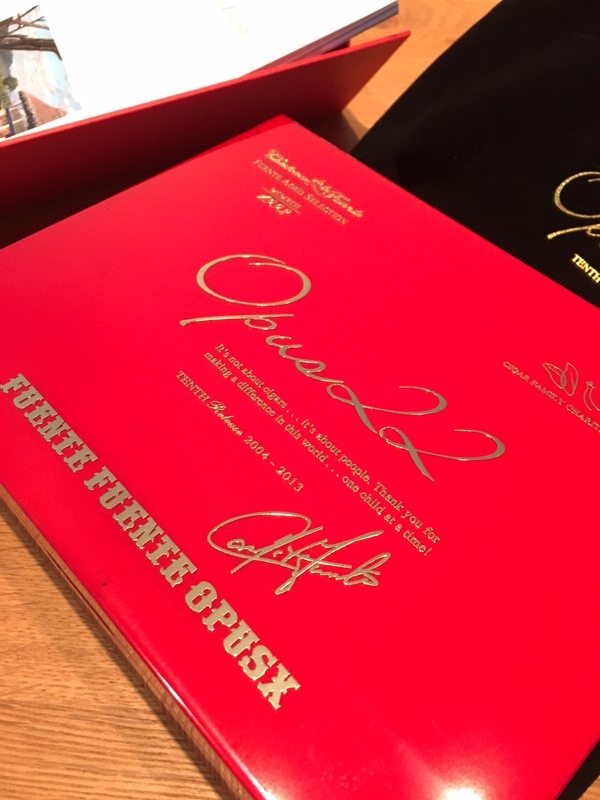 Six cigars total, all rare and aged, have led many to call this box Opus 6, although the script on the box reads Opus 22. So how do you get your hands on THIS gorgeous box?! Simple! We want your feedback! And as a thank you for helping us to improve our site, we're giving this box away to a lucky user. Just sign up for a PuroTrader account, fill out our user survey that will be available Monday, May 1, and one winner will be chosen from the pool of users who complete the survey. Good luck traders, and thank you for being a part of the PuroTrader community! Arturo Fuente Anejo Reserva No. 77 "Shark"